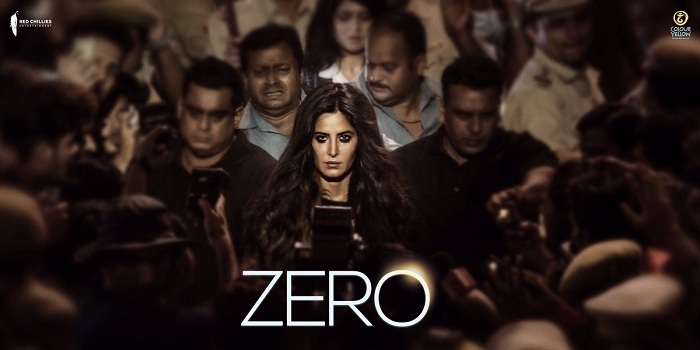 Presenting First Look Movie Poster of Zero featuring Katrina Kaif. 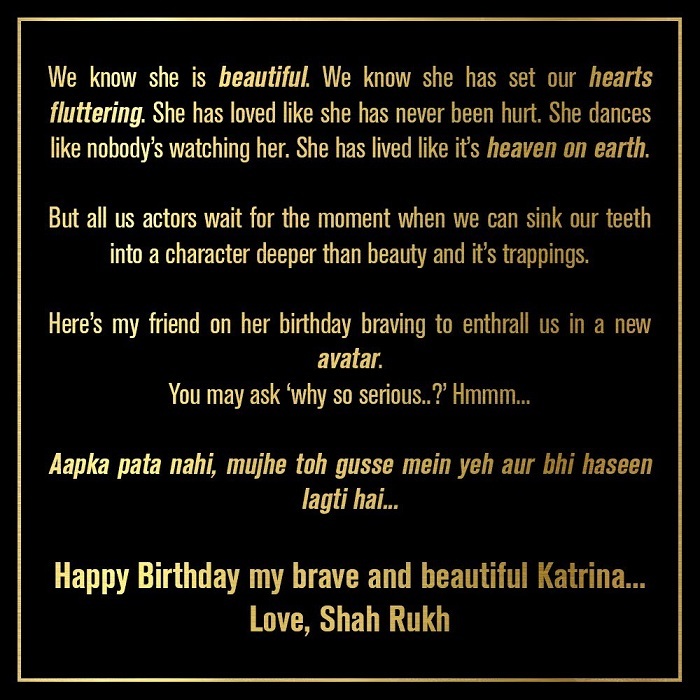 Shah Rukh Khan has himself unveiled the first look of Zero on occasion of Katrina Kaif birthday. Zero is one of the most awaited film of the year. Film is slated for Christmas release. Film is set to take hurricane start as it stars SRK in lead role. Apart from SRK and Katrina, it also stars Anushka Sharma in pivotal role.